When keeping fit is the priority, you need swimwear designed for your needs. The Women's Solid Swim Skort, an ideal combination of flattering coverage and durability, will help you to more comfortably enjoy every aquatic experience. In addition to featuring UPF 50+ technology for superior sun protection, this fitness skort includes an exterior skirt and built-in shorts for full, functional coverage. Designed using our most advanced fabric, Durafast Elite, the BSKS7A combines the strength and colorfastness of polyester with the comfort of spandex. The Women's Solid Skort is 100% chlorine proof, 100% colorfast, provides 300+ hours of performance and includes an antimicrobial lining for freshness. Love these have warn them since 2000. When one wares out I get a new one. Love the skirt. I have worn these for years and it is great. It holds up in week after week of pool therapy. I typically have one for 3 years before replacing. Q: Is this skirt tight? could this be something i use to cover up bottom flaws from tight one piece bathing suit line? or will it show the shape too? A: Thank you for your inquiry. The Solid Swim Skort features a built-in bottom that will support and shape. The skirt portion that is over that bottom is loose and helps to cover. A: This Solid Swim Skort is A-line. The front rise is approximately 12inch (using size 8 for reference). Q: How long is the skirt portion?? 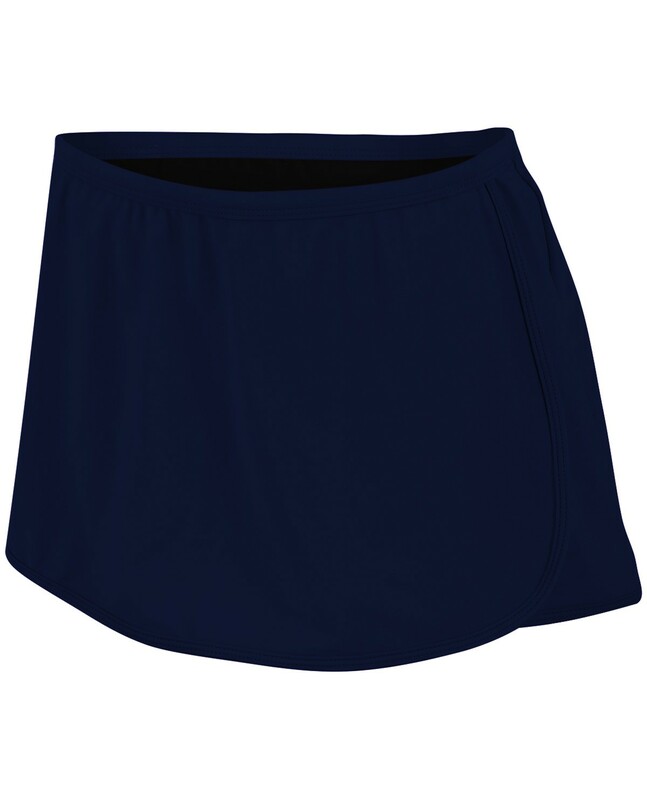 A: There is a short underneath the Swim Skort with an inseam of 2 3/4inch on all sizes. Q: is there shorts under or a bikini? What is the inseam of the shorts? A: There are built-in shorts underneath The Solid Swim Skort with a 2 3/4inch inseam. It is not a bikini. We engineered the Women's Swim Skort using our most advanced fabric - Durafast Elite - to provide 300+ Hours of chlorinated use. Features a full coverage swim skirt, with a modest cut built-in short underneath.